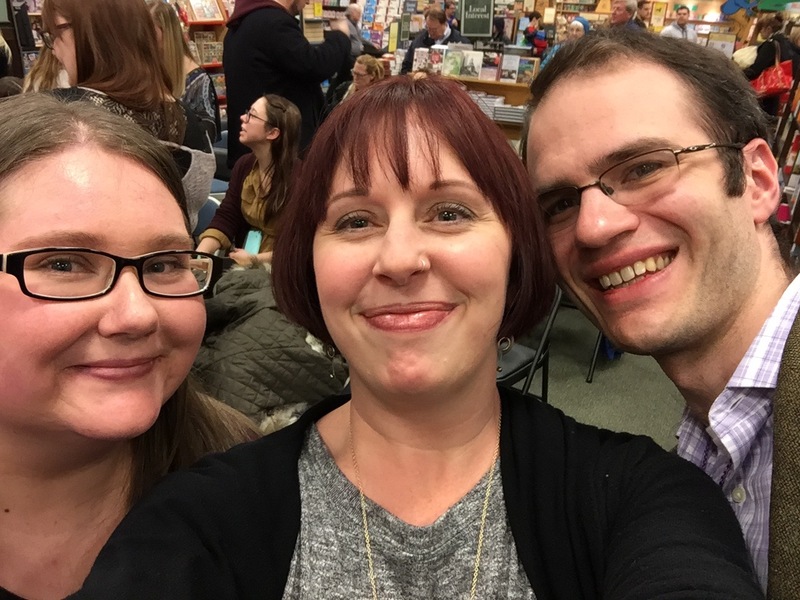 I'm very luck to live in an area that gets some pretty awesome author events. 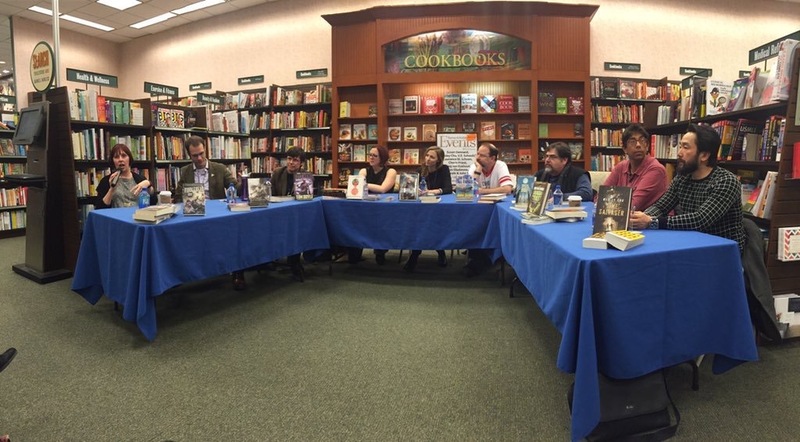 The thing is that a lot of the book tours that come through are for young adult books. And I love that I get to meet so many YA authors but some days I wish that more adult authors would come on tour near me. Well, my wish was granted this last month! This signing was announced a couple months ago and as soon as I saw who was going to be there I wanted to go! Victoria Schwab! Wesley Chu! Susan Dennard! 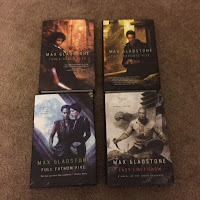 Max Gladstone! Cherie Priest! Greg van Eekhout! 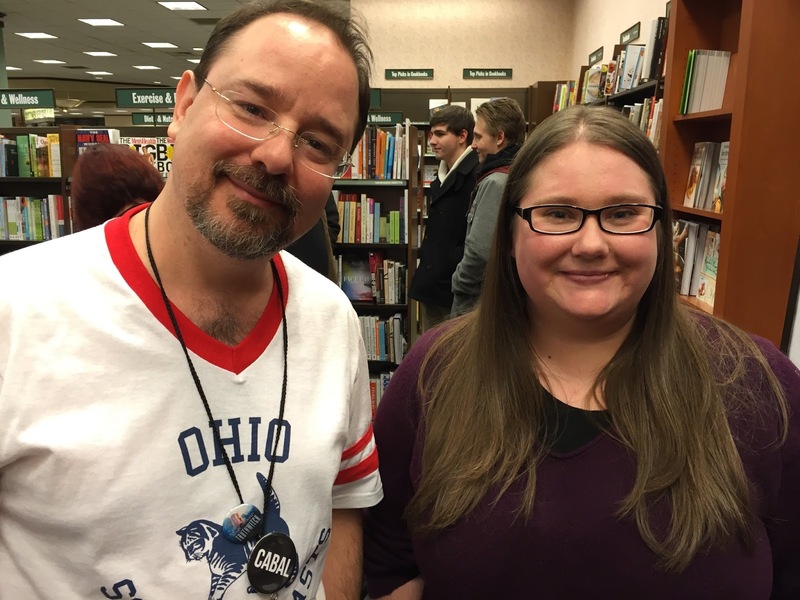 And John freaking Scalzi! So many amazing Tor authors that I love. The only problem I had foreseen was the threat of snow. Winter is not usually a forgiving time in the Midwest. Thankfully, the weather decided to cooperate so I could drive up to Livonia from Chicago. Unfortunately, my car didn't get the same memo and decided that it needed a new battery the day of the signing. It was a close call but I was able to make it to the event before it started even with my car trouble and having a four hour drive. Big thanks to my friend, Sarah from The YA Book Traveler, who saved me a seat because I was running late! Credit for this photo goes to Sarah. The event featured nine of Tor's science fiction and fantasy authors and ended being standing room only because so many people came. It was such an awesome event! I'm a big fan of seven of the nine authors so it was amazing hearing about how everyone made their way to publishing and the reasons why they write. There was also quite a bit of talk about worldbuilding which was fascinating to me because worldbuilding is one of my favorite parts of the books I read. The authors also answered several questions for people who want to be authors. After the Q&A session, the signing started! Okay. I'm going to be honest here. I was that person in the line with a million books to be signed. Alright, it was only sixteen but that's still a lot of books. 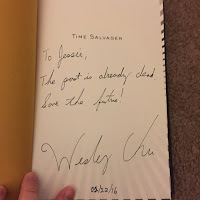 The first author I got to meet was Wesley Chu! I've been a fan of his science fiction books since his first book in the Tao series! Funny story. Chu actually lives in Chicago and has had several events since I've moved here. Unfortunately, I wasn't able to make any of them because of work and traveling. It was exciting to finally meet him in person! 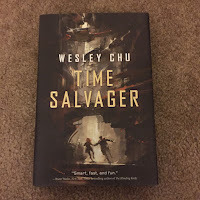 I already have signed copies of his Tao books thanks to a friend so I had him sign my copy of his most recent release, Time Salvager. You can read my review of it here. I kind of embarrassed myself talking to him about how much I loved his books and how refreshing it was that his time travel book actually incorporated consequences for time traveling other than the normal paradoxes we see. I then embarrassed myself calling him Mr. Chu when asking him if he'd take a picture with me. And I'm pretty sure he overheard me fangirling to Sarah about his books while I was pumping myself up to ask for the picture. Have I ever mentioned that when it comes to my favorite authors all of my ability to speak like the almost 30 year old I am goes out the window? He was very gracious and took my awkward fangirling in stride and was super nice about it. 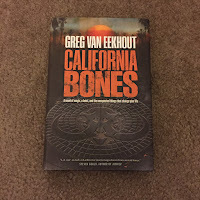 The next author I met was Greg van Eeekhout. I've only read the first two books in his Daniel Blackland series but I really like them! I also embarrassed myself talking to him when I totally butchered pronouncing his last name. 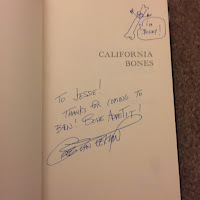 He was really nice about it though and totally drew a picture in my book when he signed it! He was also nice enough to duck down for a picture. He's really tall and I'm really short. It was so fun meeting him! I really need to get my hands on his new book! The next author I met was John Scalzi!!! And with what has been the pattern for this signing so far, I was a complete fangirl. Thankfully, I didn't embarrass myself this time. 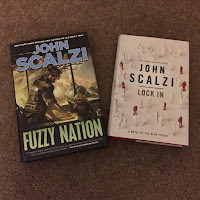 I haven't read a lot Scalzi's books but I have loved everything of his I've read so far! Fuzzy Nation is my favorite! Funny story: Scalzi serialized his book, Old Man's War, on his website back in 2002 before it was published because he didn't want to jump through all of the hoops to get traditionally published. I haven't read the final published version, but I totally read the serialized version and really liked it! It was something my best friend stumbled upon and we would read each new entry in our keyboarding class in high school. Thank you, Mr. Scalzi, for saving us from one of the most boring classes I took as a teen. 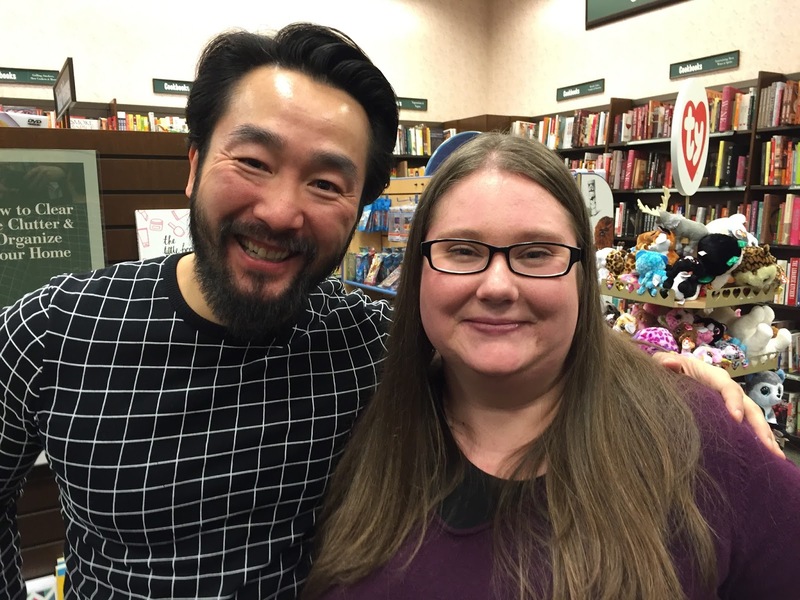 The next two authors I met were Cherie Priest and Max Gladstone! Cherie's Boneshaker series was my introduction into the wonderful world of steampunk and I really enjoyed her Lizzie Borden books! 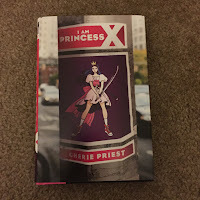 I own most of her books as ebooks so I bought her debut YA book, I Am Princess X, at the event. I'm really excited to read it! It was really fun to meet her and she was super nice! I've been reading Max Gladstone's Craft Sequence series since Two Serpents Rise came out and it is wonderful! I'm not sure exactly how to describe it. 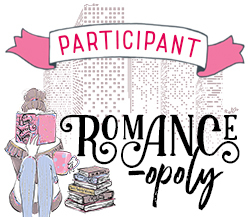 I've had blogging friends who have described it as weird urban fantasy which is a good but it doesn't do it as accurately as I'd like. The best description I've ever heard is that the series is a set of legal thrillers set in a post-war fantasyland where black magic abounds and goods are traded for using pieces of your soul. It really is an amazing series! I completely fangirled. And then I ended up having a conversation with him about gamma ray bursts and nuclear astrophysics! It was awesome being able to talk to one of my favorite authors about the topics I'm studying for my PhD. 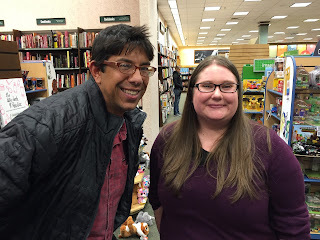 The next author I got to see was Susan Dennard. I fall into what she calls the Hipster Sooz Club because I've been a fan since I read her first book, Something Strange and Deadly, shortly after it came out. 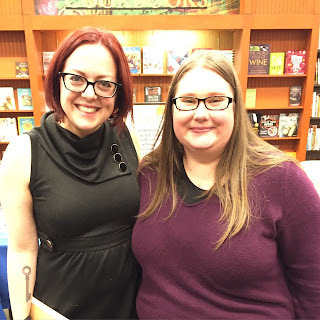 I actually got to see Susan the week before this event while she was on tour for Truthwitch. Susan is the nicest person ever and she's so sweet online and offline. I've loved all of her books! 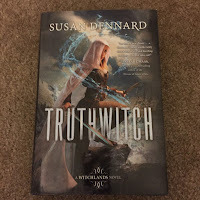 I'm about halfway through Truthwitch and I adore it so much! I'm reading it slowly to savor it because I don't want it to be over. 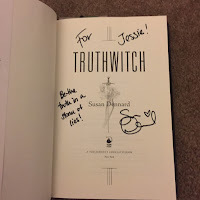 Since I had seen her the previous week, I had her sign a copy of Truthwitch I had won in a trivia contest so I could send it to a friend. The signed copy below is from that previous event because I've put the other copy in the mail. I'm going to admit that even though I was excited to meet most of these authors, the main reason I came to this event was to meet Victoria Schwab. 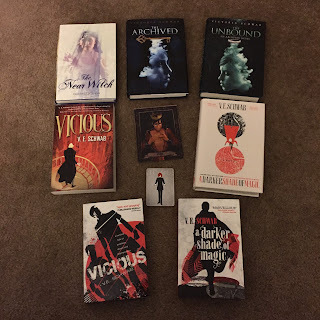 I've been a fan of Victoria's books ever since 2013 when I discovered The Archived on the new book shelf in my Barnes and Noble. How could I not pick it up when the first sentence describes The Archive as a library that contains all the bodies of the dead? That same trip I found her first book, The Near Witch, in the bargain section. It sounded fascinating so I bought them both the same day. I flew through them over the next two days; grad school and homework be damned. I adored them so much! Since then, I've read every book of hers that has come out. And I've loved them all! Fun fact for you: several of Victoria's books have a minor character that has the same last name as I do in them. Now every book I read of hers I watch carefully to see if I can find a character with my last name. It's become a weird sort of scavenger hunt for me and my best friend when we read each of her books for the first time. The first one to find it immediately texts it to the other. I'm dying to get my hands on The Savage Song in May because 1) it's a YA monster book with absolutely no romance in it and 2) one of the MAIN characters has my last name! It's all so exciting! 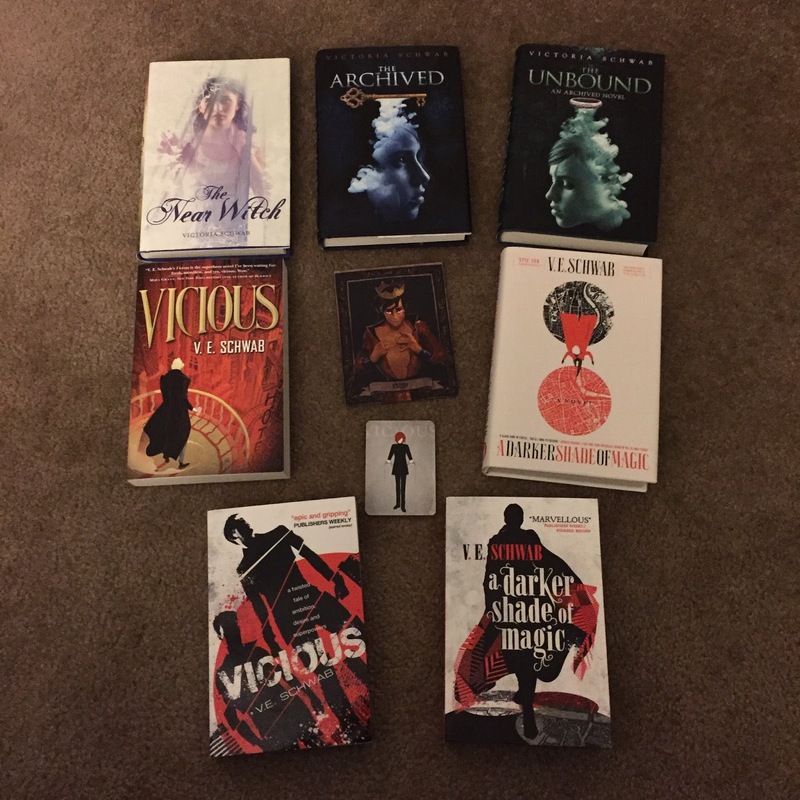 I love all of Victoria's books but her adult books, Vicious and A Darker Shade of Magic, speak to my soul on a whole other level than her YA books. It's like they were written just for me. It won't surprise you to find out that both of them are on my list of my most favorite books ever. I've written a review for Vicious on this blog so you all know how much I love it. So let's just say that I was fangirling so hard when I met her! Seriously. 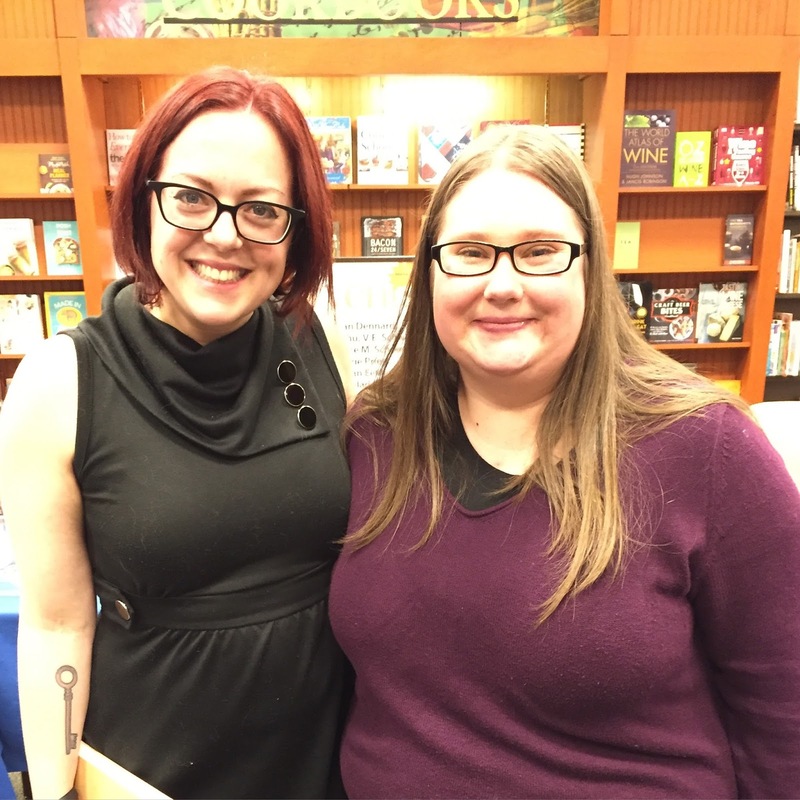 I was trying not to cry when she was signing my books because I was so excited and happy! We also fangirled a bit about the awesomeness of Neil Gaiman who had a huge influence on both of our lives in different ways. And Victoria had brought along the super shiny, tour-exclusive Rhy card with her! I was ecstatic to get one! I was hoping they'd be there but I was resigned to them not because they're an exclusive card for those who make it to her tour stops this month. I'm dying to get my hands on A Gathering of Shadows this month! I need more Kell and Lila in my life! She talked about how she wanted to be an interrogator, a writer, or an astrophysicist but the math requirements to be an astrophysicist ended that pretty fast. I find it funny that I was the opposite. I wanted to be an librarian or a scientist and all of the writing to get a degree in English killed my dream of being a librarian. I now do astrophysical research and I think it's amazing that we both ended up being the opposites of each other in our careers. Personally, I'm really glad she ended up becoming an author. My long wait to meet Victoria in real life was totally worth it. If you have a chance to go see her on her tour this month, go! I would 10 out of 10 recommend doing so. I probably didn't do this event justice with this wrap-up and this post ended up being a squee-fest about the authors I met but it was truly a wonderful experience. The authors were amazing and it was great to meet several of my blogging friends in real life. 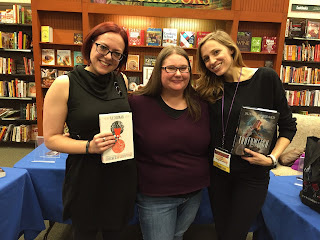 I was good about getting pictures with the authors but I was terrible about getting photos with the other bloggers. Next time. I'll do better next time. Overall, I had a lot of fun and my little fangirl heart is still extremely happy! It was definitely worth the stress of getting a new battery for my car to get there! Oh! Good to know! It was so great to meet you!